It seemed like a small gesture. 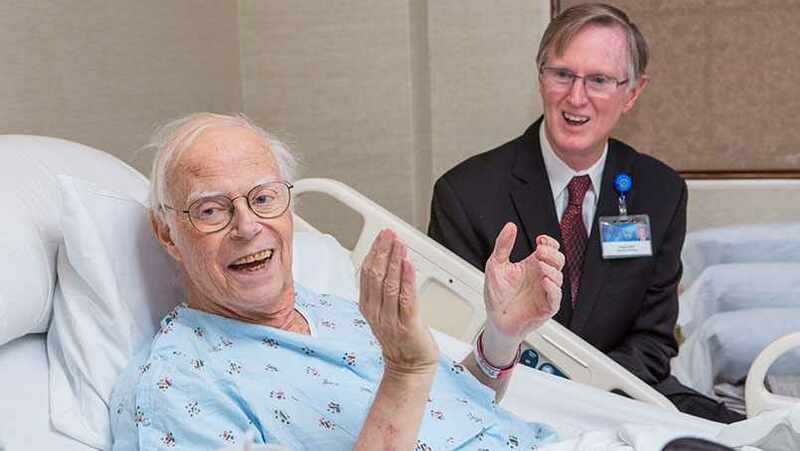 It was 1948, and a young boy was biding time in the hospital lobby at Saint Marys in Rochester, Minnesota, when one of the Sisters of Saint Francis took his hand and brought him to his father’s hospital room. In those days, young children weren’t allowed in hospital rooms, so young Truman Reid, age 9, spent a lot of time in that lobby while his mom visited his father. He’s not sure if the good Sister had a premonition or had looked at his father’s chart, but she did look beyond the rule and led young Truman up the back stairs to his father’s room. It was the last time Truman would see his father alive. It still bothers him that he doesn’t know the name of that benevolent Sister. But Truman is certain about the impression she made on him and his family, and the impact of similar acts of caring and compassion he saw in the months he spent in Rochester, while his father was in the care of the staff at Mayo Clinic and Saint Marys Hospital. There was the staff member who took him out to dinner. And the elevator operator at the Kahler Hotel who took him to the movies. And the hotel manager who had Truman to his house for dinner. And since he was in Rochester for an extended period – about three months – the Sisters made sure young Truman got some schooling. They enrolled him in nearby St. John School’s and never asked for payment. In fact, when Truman and his mother prepared to leave Rochester, his aunt was dispatched to the school to settle up. “The sister or Mother Superior (I’m not sure who it was) said, ‘No, there will be no charge for having Truman at the school,’" he says. Later, back home in Pennsylvania, Truman says his mother mailed a check for what she concluded was fair payment. That check was never cashed. It won’t cost a thing to share your comments below and share this story with others using the handy social media tools.